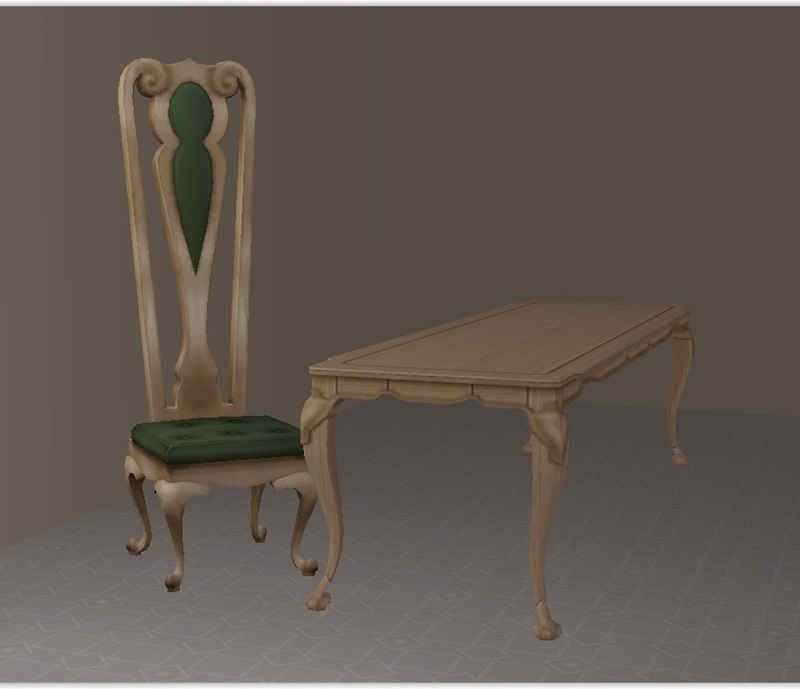 Mod The Sims - Not So Fancy Schmanzy Anymore! 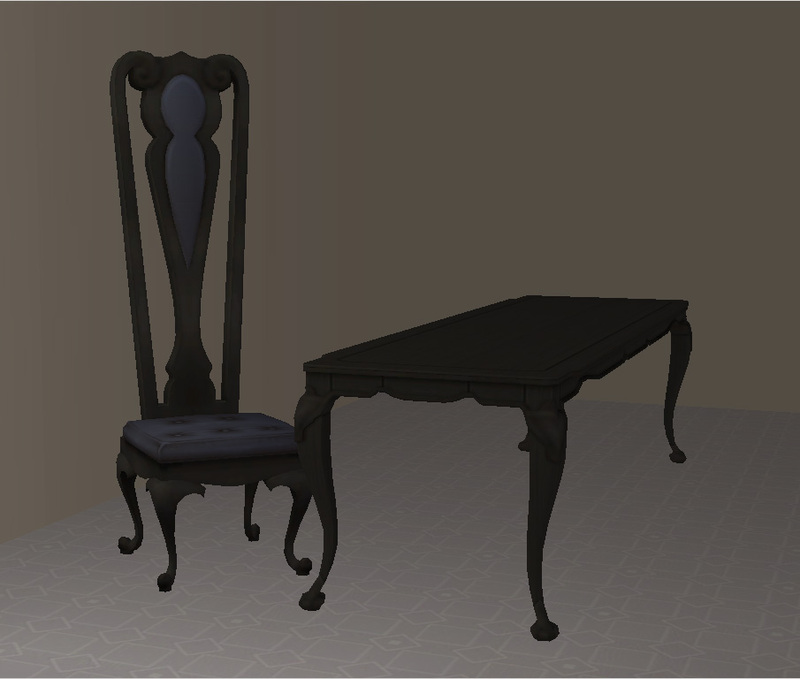 This upload originally was meant to be my entry for last June's monthly theme but for some reason or another only one of my dining chair recolors ever showed up in my game. 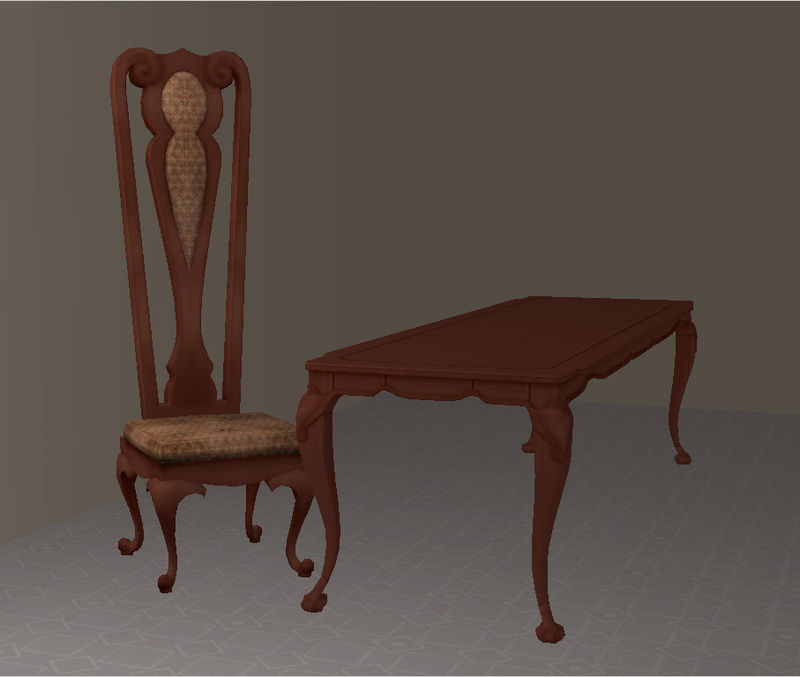 So I redid them a half dozen times and finally discovered there was a clone of the chair lurking in a hidden folder in my program files. Duh, I felt smart. Deleted that and redid them again and now they are in game and working. 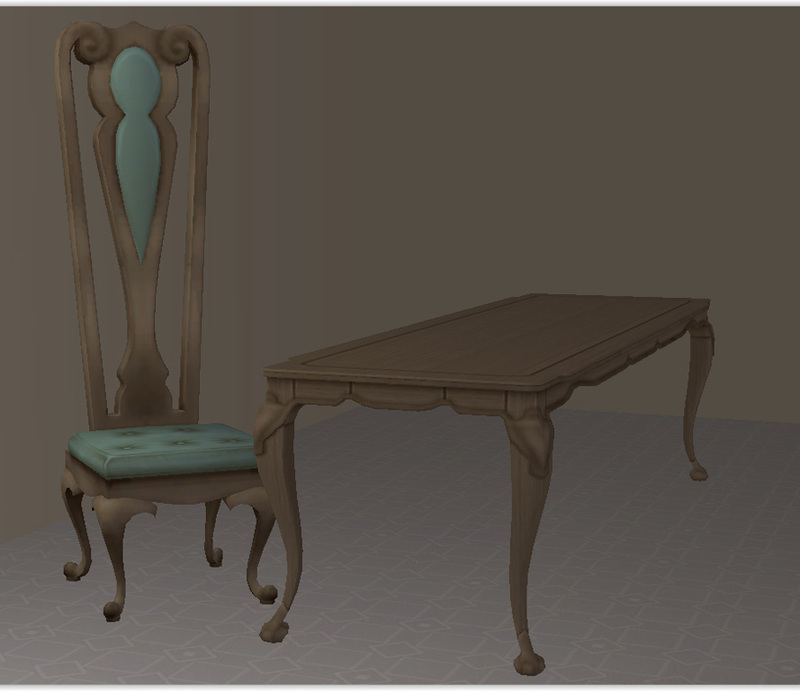 I have always loved everything about the Apartment Life Socialite Dining set except those ugly three medallions down the middle of the table. So, one day I got rid of them and fixed the top to be one nice slab of wood. Above are the three AL woods. 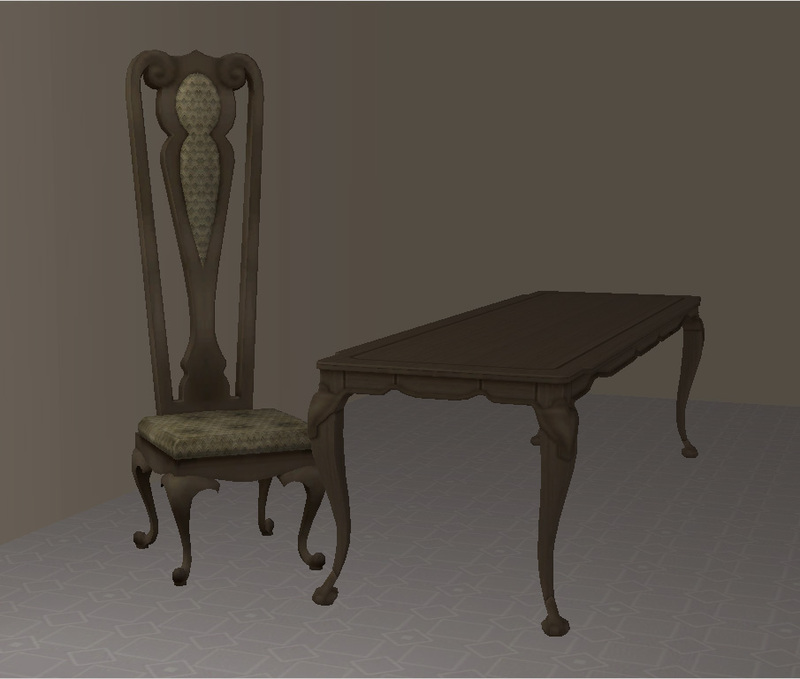 There is also a matching How Eloquent dining chair to go with each table recolor except the three AL recolors. 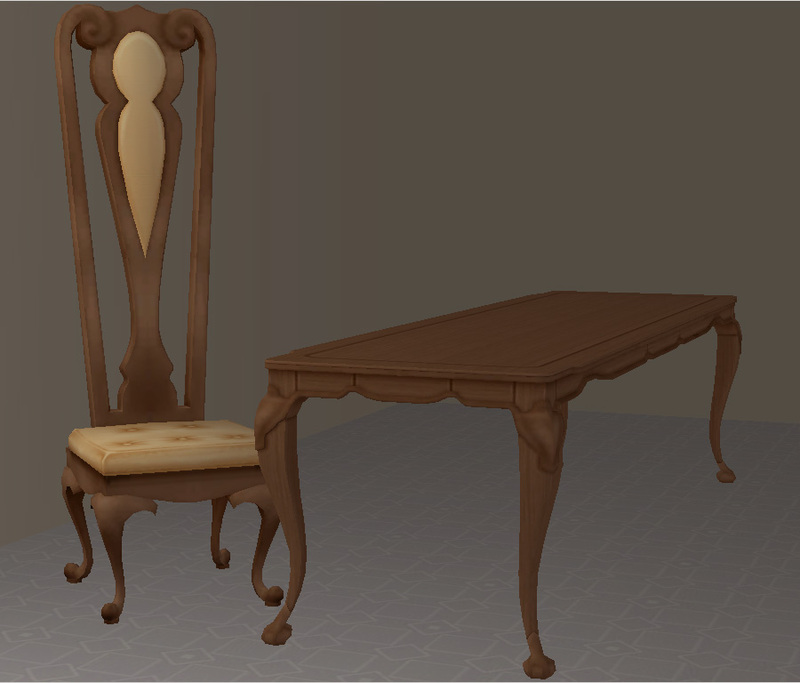 This set shown above are in sepia. Sepia comes straight out of Photoshop's actions. 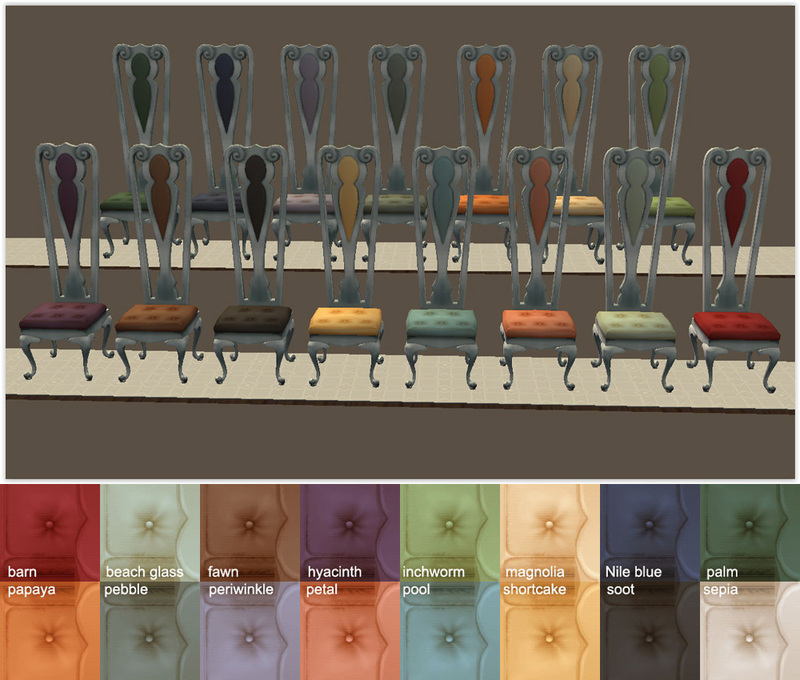 There are 13 table recolors using sepia, a blue I made up for another project, iCad's wood color pallet, the three AL woods, and two IKEA colors. 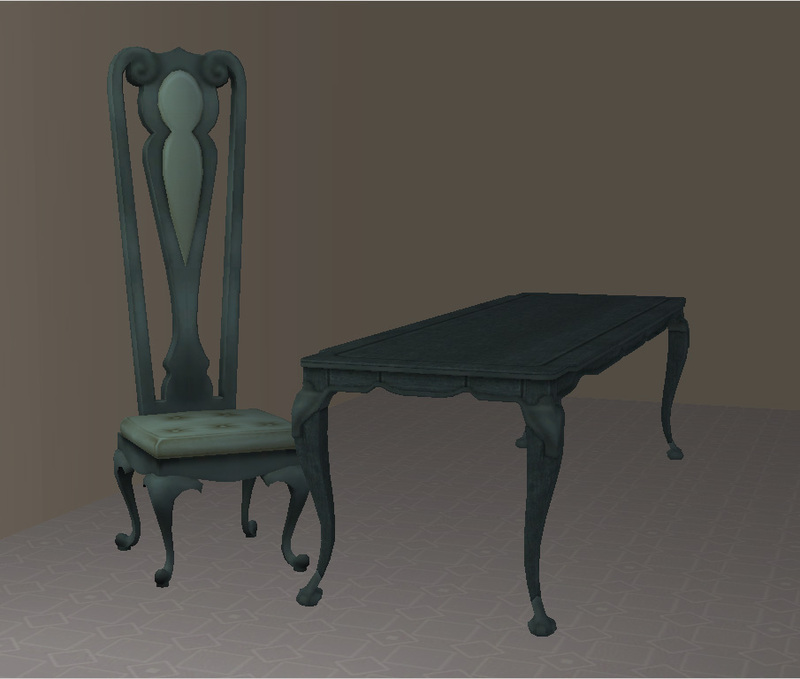 There are 10 chair recolors matching all the tables except the AL woods. 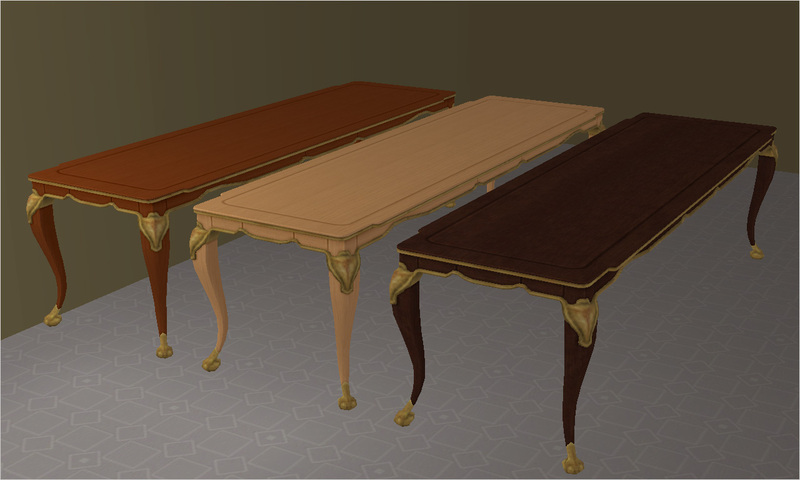 All these shiny new dining sets needed some new cushions to go with them. I did up recolors in all 15 Yeti pallet colors, a sepia one, and seven in a vintage print. 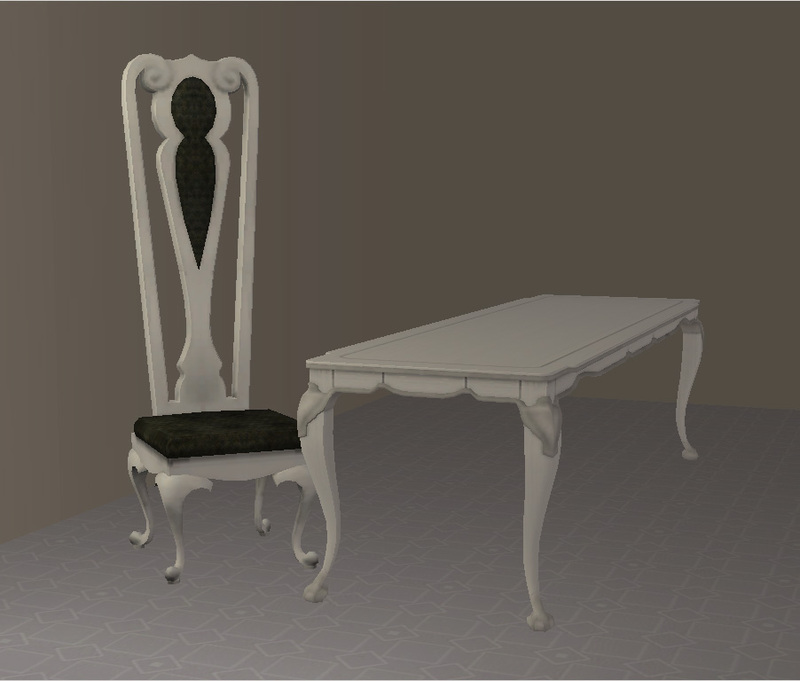 I hope you all enjoy these new choices to a lovely dining set. 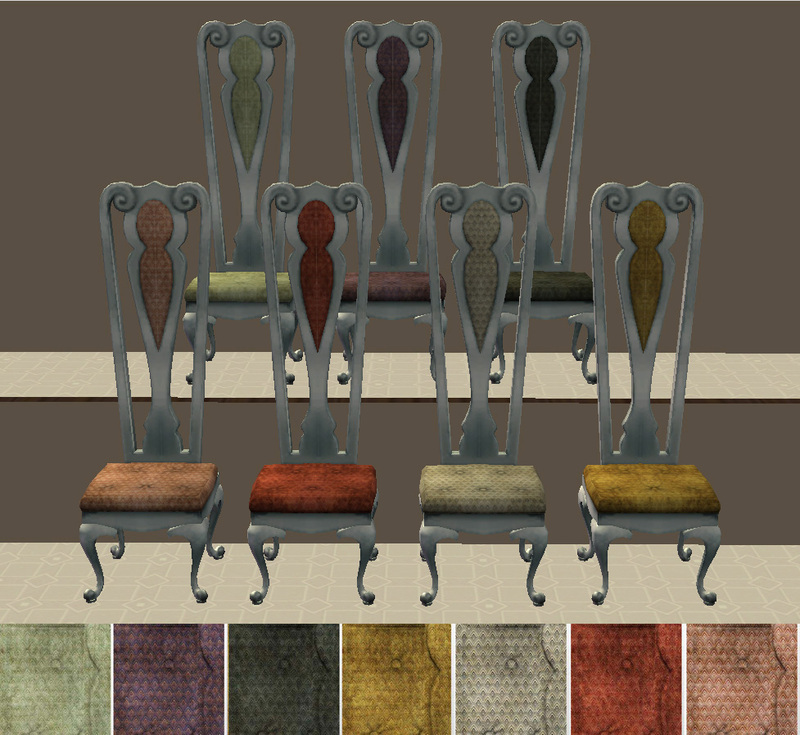 You can download these recolors in separate files according to type or the whole works in one. Swatches are included and everything has been thru The Compressorizor. iCad woods are by the talented iCad here at MTS. iCad and IKEA color actions by HafiseAzale. Yeti pallet by CuriousB for Shastakiss. 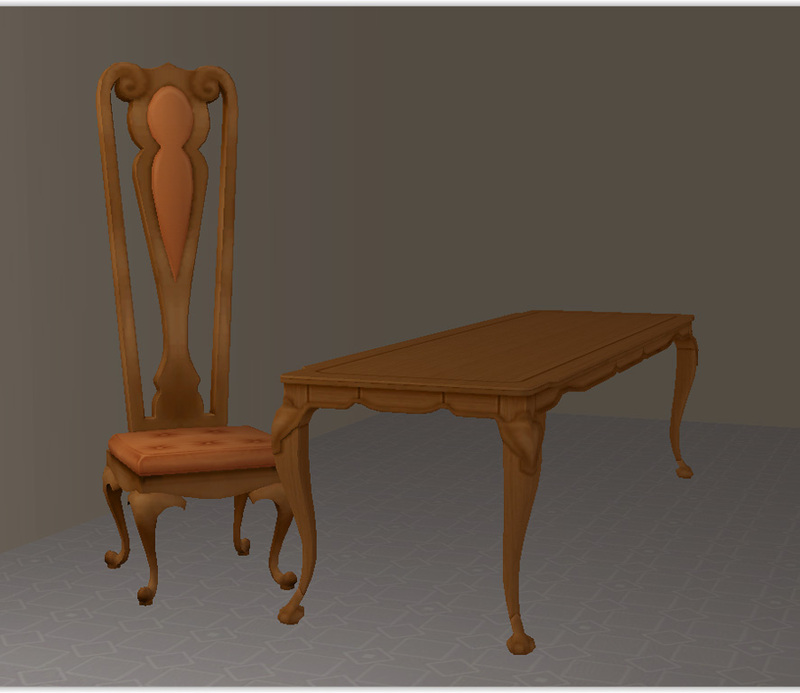 The Vintage prints I used are downloaded from SketchUp (who is claiming them) but I know I downloaded that very same set years ago from WebTreats. So, I'm giving both sites credit. 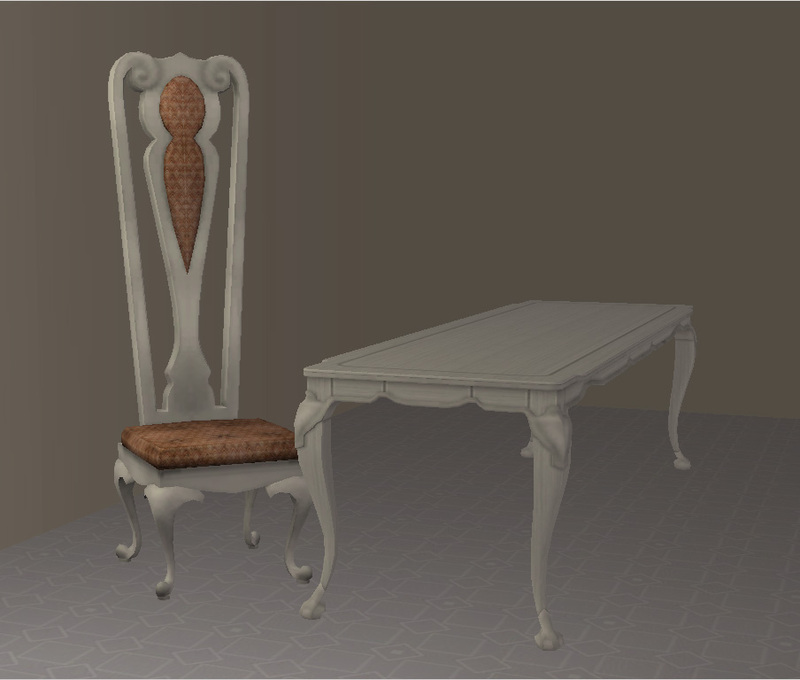 Numenor, Quaxi, and all the other wonderful people that helped create simPE. What would our games be like without SimPE and CEP???? A big shout out to MTS and everyone that makes it such a great site to be a part of. 142 people have said thanks to Deatherella for this download.